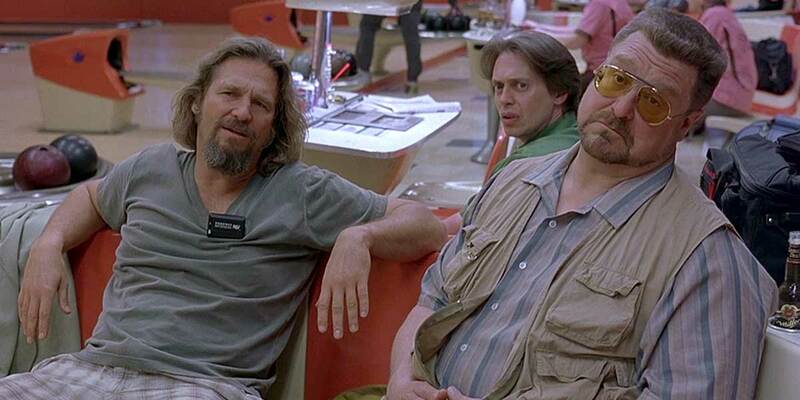 Jeff ‘The Dude’ Leboswki (Jeff Bridges) is mistaken for Jeffrey Lebowski, who is The Big Lebowski. Which explains why he’s roughed up and has his precious rug peed on. In search of recompense, The Dude tracks down his namesake, who offers him a job. His wife has been kidnapped and he needs a reliable bagman. Aided and hindered by his pals Walter Sobchak (John Goodman), a Vietnam vet, and Donny (Steve Buscemi), master of stupidity.